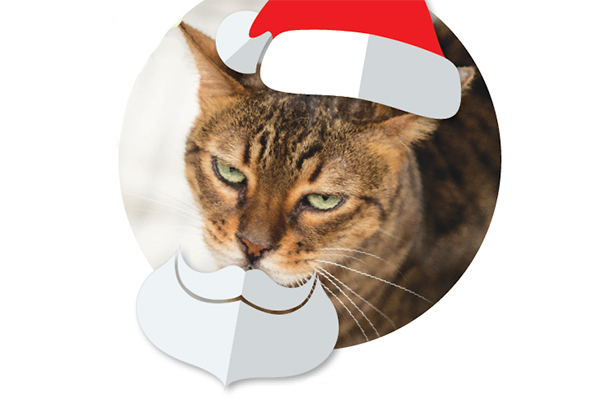 What do cats really think of Santa Claus? 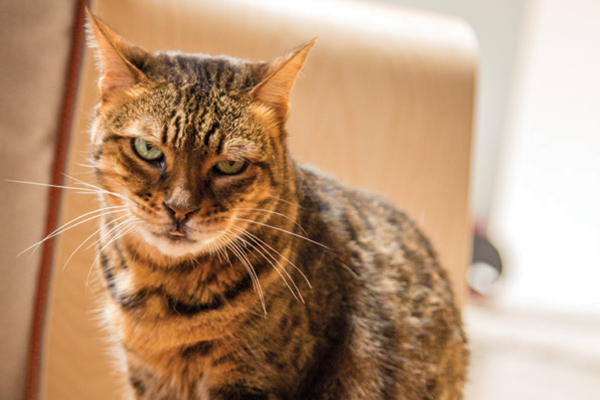 Writer Michael Leaverton checked in with Stella, his Bengal cat, to find out! Christmas is thundering toward not only us but also our cats. I checked in with my cat, Stella, to see how she was handling things. The holidays are here, Stella! Tell me: Are you ready for Christmas? I suppose so, but is one ever truly ready to go to war? There are simply too many variables to account for. What if some reindeer muscle comes down the chimney and attacks me? What if Santa is quick on his feet and lethal with an icicle? We must always expect the unexpected during the holidays. In that spirit, it’s best to stay off the roof until the holidays are over. What did you do to the roof? And don’t go near the chimney, the tree or the dog. Is this like when you went after the Easter Bunny, and the gardener quit? Why can’t you just enjoy the holidays? And let a megalomaniacal giant elf backed by eight bloodthirsty reindeer barge down my chimney without so much as a warning whistle from the street like the mail carrier finally learned to do? Not on my watch! But Santa is nice! He brings presents! Ha! Dollar-store jingle balls do not impress me. I thought you liked jingle balls. Not the jingle balls where the jingles fall out of the balls on the first day. Oh. I’ll pass that along. Anything else? Remember when I got three toilet paper rolls with the feathers stuck to them? Sure. Santa was making his own toys that year. The only way Santa gets out of here safely is if he drops something big down the chimney in plastic clamshell packaging. I’ll make sure Santa opens his wallet. And I want something that clucks. Like a chicken. He’ll hit the deli counter on his way over. Fine. But I’m not ruling out war. One look from Comet, and this whole thing goes south in a hurry. I’m sure Comet will behave himself. Comet is out to get me.